While the battle against austerity in Europe has entered a decisive phase – with the election of the radical-left Syriza in Greece – the term is seldom heard with reference to South Africa. Despite this, and the global discrediting of austerity, Finance Minister Nhlanhla Nene’s recent budget can only be describe as austere. By GILAD ISAACS. Austerity refers to policies used to reduce government borrowing via spending cuts and/or tax increases, often on the premise that this will stimulate economic growth. It masquerades in the budget speech under technocratically neutral-sounding terms such as “fiscal consolidation,” “rebalancing” and “cost containment”. Rapidly reducing debt, the path Nene has chosen, can be disastrous. In 2011 a group of relatively conservative economists – including Nobel Prize winners Kenneth Arrow, Peter Diamond and Robert Solow – cautioned President Obama that it would be “dangerous to try to balance the budget too quickly in today’s economy”; the same can be said of South Africa today. The historical evidence suggests we should be concerned by Government’s approach. In one study, Professors at Oxford and Stanford Universities, David Stuckler and Sanjay Basu, compare the effects of austerity versus stimulus in cases ranging from the Great Depression, to the collapse of Communism, to the current Great Recession, and find that stimulating the economy – including via debt spending – beats austerity every time. A burgeoning body of academic research supports this conclusion. 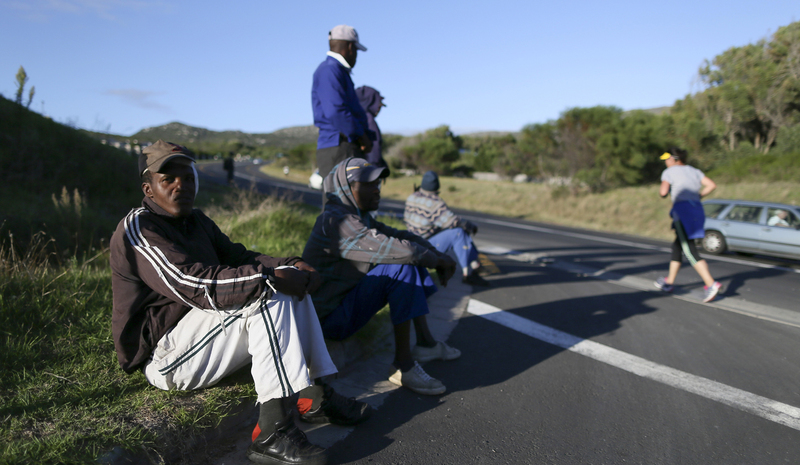 In South Africa austerity will take a different form to Europe and elsewhere. Slashing of welfare benefits, as has occurred in the UK, is unlikely, as is the retrenchment of massive swathes of the public-sector workforce à la Greece. These measures would be politically unpalatable and stir even greater social unrest. Instead, we witness in the recent budget, and last year’s Medium Term Budget Policy Framework, the freezing or limited expansion of expenditure. Increases of, on average, 7.1% to health expenditure over the next three years sound substantial but when accounting for inflation – estimated to average at 5.3% over the next three years – the real average increase is only 1.8%. Overall the real average increase in total consolidated expenditure (excluding interest payment) over the next three years is projected, according the budget speech, to be a paltry 2.1%. Compared with increases of over 7% for most of the last decade, this amounts to a contraction in spending, something which began over a year ago. Budget allocations must also be compared to departmental plans. At last year’s Treasury and World Bank hosted Fiscal Policy and Redistribution in an Unequal Society Workshop, Treasury Deputy Director-General Michael Sachs presented on the “fiscal sustainability” of current social welfare programmes – in particular education, social protection, health and public order and safety. According to the research, these programmes’ current levels of expenditure are “sustainable,” defined as affordable under the current tax regime and with a stabilised or reduced debt burden. However, proposed changes to these programmes, for example the much-needed National Health Insurance (NHI) scheme, renders them “unsustainable”. Despite mention of the NHI in Nene’s budget speech, given Sachs’ cost projections, it is difficult to imagine funding the NHI within the austere constraints of the medium-term budgetary framework. In this budget, certain expenditure items are actually, in real terms, falling. Social grants rose between 3.1% and 4.4% in the context of 6.1% inflation for 2014 and a projected rate for 2015 of 4.3%. Because households apportion their monthly spending differently and prices for various goods rise unevenly, households experience divergent rates of inflation. The poor, in general, experience higher inflation rates, with a study by UCT’s Development Policy Research Unit showing that inflation is highest for grant recipients. The “increases” in Nene’s budget actually mean grant recipients will find it more difficult to put food on the table. The general case for austerity is that large public debt has accumulated and that if it is not speedily repaid it will become increasingly more difficult to borrow money, and more costly to repay. Printing money is not an option, so the logic goes, because it will cause inflation and currency devaluation and so the only solution is cutting back on social spending. Regrettably, to balance its books with the rest of world South Africa is reliant on inflows of foreign capital – unfortunately predominately short-term and/or speculative in nature – and policy is pitched to reassure foreign investors in order to keep open the tap. This is the unfortunate result of the particular path that liberalisation has taken and of widespread capital flight (Nene’s recent commitment to clamp down on illicit outflows and tax evasion is most welcome). To mask a radically undemocratic deference to foreign investors and rating agencies a rhetoric of crisis, with particular reference to “unsustainable debt”, is employed. This rhetoric was used to justify the mid-1990’s GEAR programme, whose promised gains from liberalisation and austerity – hefty foreign direct investment and surging exports – have failed to materialise. This rhetoric is hyperbole and erroneous both empirically and theoretically. South Africa’s deficit – the shortfall between revenue and expenditure in any given year – was 3.9% of GDP in 2014/15, the same as the 2014 average for OECD countries (a group of 34 leading economies). South Africa’s net debt of 41%, the source of great anxiety, is well below the OECD average of 70% and that of [many other emerging markets such as Brazil, India, Argentina, Malaysia and Thailand. Finally, South Africa’s interest payments in 2014/15 of just under 1% of GDP is half the OECD average and even below austerity’s chief patron, Germany! Arguably more important is that government debt just isn’t akin to private debt. Overwhelming government debt repayments are financed by the tax intake and this depends, in part, on the level of economic activity. In an economy where one person’s spending is another person’s income, contracting government spending can lower income, lead to less business, more unemployment and a vicious spiral of slowing economic activity, resulting in less tax revenue. The “sustainability” of government debt depends on the ability to keep growth in debt repayments lower than the growth rate of revenue, not on an arbitrarily set ceiling, at a particularly percentage of GDP (lowered again in this budget). Revenue increases can come from tax hikes, as in this budget. However, the increases instituted are either regressive – fuel levies and “sin taxes” disproportionately impact the wallets of the poor – or miniscule – in the case of the income tax increases. For a salary of R350,000 in 2014 (just over 1% earn this or above), worth R371,350 in 2015, the extra tax is only R990 per month. Similarly, someone earning R1 million in 2014 will now pay just over R3,400 more in monthly taxes; hardly an onerous burden. Overall, South Africa’s highest income tax bracket of 41% is slightly below the OECD average. Crucially, greater revenue is also generated from expanding economic activity; in this increasing social spending can play a positive role. Focusing on health, Stuckler and Basu show that investing $1 in specific public health programmes can result in $3 of economic growth. In modelling the “sustainability” of welfare programmes Sachs’ Treasury team failed to account for these positive “multiplier” effects. These programmes also create a healthier populace – physically and psychologically – which has positive spinoffs for decades. Similarly, there is near unanimous agreement that debt-financed spending on physical, social and digital infrastructure (and here we excluded World Cup stadia) raises productivity, enhances competitiveness and can have strong multiplier effects. On the other hand, cutting social spending has devastating impacts on economic growth and peoples’ lives.